Classic Alumawood Covers is based in Murrieta California. 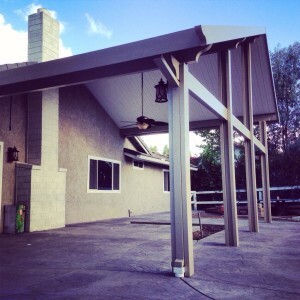 La Cresta is a location were we have built many Alumawood patio covers. It can get very hot in La Cresta so we are here to help you get some shade. If you are in the market for an aluminum patio cover then we can come give you a free in house estimate. We can show you pictures, color chips and come up with a custom design that will work with your home. Be sure to check out our Frequently Asked Questions page to find out everything you need to know when considering an Alumawood patio cover.